Netflix has acquired the live-action feature film rights to Carmen Sandiego and has attached Gina Rodriguez, the Golden Globe-winning star of the CW series “Jane the Virgin,” to star as the title character. 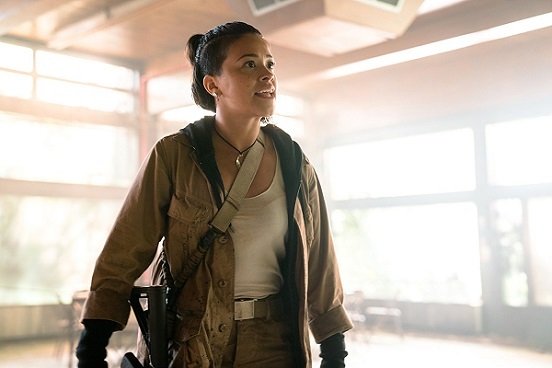 Rodriguez, who co-starred in writer-director Alex Garland’s femme-focused film “Annihilation” and will star in helmer Catherine Hardwicke’s upcoming remake of the thriller “Miss Bala,” also will produce “Carmen Sandiego” through her I Can and I Will productions alongside Kevin Misher and Caroline Fraser, according to Deadline Hollywood. The game “Where in the World Is Carmen Sandiego” was a favorite of mine growing up, so it’s a thrill to think of this character getting a new life. The live-action film is an extension of the brand, Deadline reports, as Netflix last year announced a new Carmen Sandiego animated series for 2019 with Rodriguez voicing the title character. Publisher and learning company Houghton Mifflin Harcourt is the owner of the Carmen Sandiego property, and a new line of books from HMH featuring Carmen will launch in 2019 timed to the series release. It’s definitely a busy time for Gina Rodriguez, who also has been cast alongside Evan Rachel Wood (HBO’s “Westworld”), two-time Academy Award nominee Richard Jenkins (“The Shape of Water”) and three-time Oscar nominee Debra Winger (the Netflix series “The Ranch”) to star in a heist movie from indie filmmaker Miranda July (“Me and You and Everyone We Know”). The as yet-to-be titled project is the latest collaboration from Megan Ellison’s Annapurna Pictures and Brad Pitt’s Plan B Entertainment, according to The Hollywood Reporter. 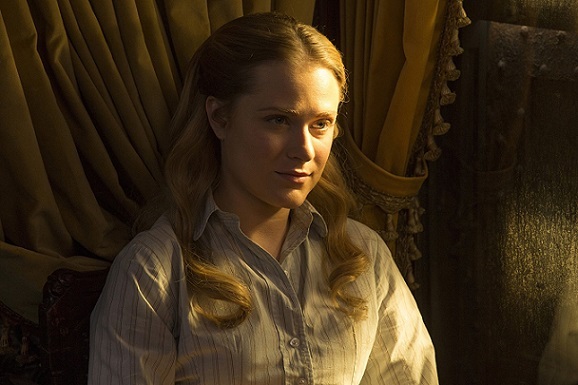 Youree Henley (“The Beguiled,” “20th Century Women”) will produce the feature, which is to begin production in May. Wood is set to play a woman with the unlikely name Old Dolio whose amateur con artists parents – played by Jenkins and Winger – invite an outsider to join their biggest heist to date. Rodriguez will play the woman who learns of the family’s secrets and is brought into the fold. Nat Geo, aka the digital cable and satellite television network National Geographic, is developing a series inspired by the inspiring femme-centered film “Hidden Figures,” Variety reports. The 2016 film was based on the book of the same name by Margot Lee Shetterly, who told the true story of the black female mathematicians and scientists who were unsung heroes in launching the early-day of the American space program. The film, which starred Taraji P. Henson, Octavia Spencer and Janelle Monae and Kevin Costner, was nominated for three Academy Awards, including best picture, best supporting actress for Spencer and best adapted screenplay for Allison Schroeder and Theodore Melfi. It also was a box-office hit, grossing more than $235 million worldwide. The TV project, which is in the early stages of development, will be executive produced by Peter Chernin and Jenno Topping of Chernin Entertainment, both of whom executive produced the film. National Geographic will also produce, according to Variety. If “Hidden Figures” goes to series, it would be the latest in Nat Geo’s ventures into scripted fare. The cable network, a joint venture between National Geographic and 21st Century Fox, is premiering April 24 the second season of its scripted series “Genius.” The first season, which was nominated for 10 Emmys, starred Geoffrey Rush as Albert Einstein, while Season 2 will star Antonio Banderas as artist Pablo Picasso. Nat Geo also debuted the Iraq War miniseries “The Long Road Home” back in November. That’s a pretty male-centered lineup of scripted series so far, so it’s nice to see “Hidden Figures” potentially coming to the lineup.